The GRIM Anthology is here! With “Untethered,” I wanted to address the issue of ghosts and grief while at the same time adding in some of the shivers that were lacking in the original. I hope you enjoy it! And don’t forget the Blog tour with giveaways. This entry was posted in Reading, Writing and tagged Grim on February 25, 2014 by SoniaG. 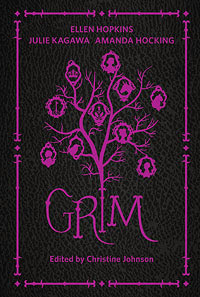 The GRIM Blog Tour — with Giveaways! The GRIM Anthology releases in 8 days! To celebrate, Harlequin Teen is offering a blog tour with fabulous giveaways! Learn more at the tour main page. This entry was posted in Uncategorized and tagged giveaway, Grim on February 17, 2014 by SoniaG.